When I decided to redo my spare bedroom I wanted to redo the room and be very economical. I wanted to show that YES decorating can be done on a budget. Here is the final room pic.....well not completely final I have a antique clock from my parents to hang on the wall on the right side of the curtains by the bed. Everything in this room was what I already had, purchased used, or purchased from Walmart - Big Lots - Menards - Back to Bed - Hobby Lobby. To start the adventure we tore out the carpet and found natural hardwood floors in terrible condition. Years of paint spilled all over the floor. We plan to totally redo the hardwood floors - but I want to wait until the other rooms in our home have been painted and redone. I want the same hardwood do go throughout the home. I wanted to make the old floors look the best I can. I am still getting the paint off....this is a huge task. But hopefully a few more days of scrubbing and I will have all of the old paint off. I will be posting how to get paint off old hardwood floors. 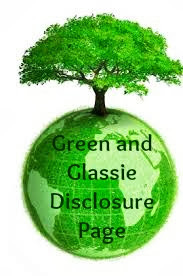 Make sure to check back you are not going to believe what product worked the best! This post I want to tell you about the furniture in the room. 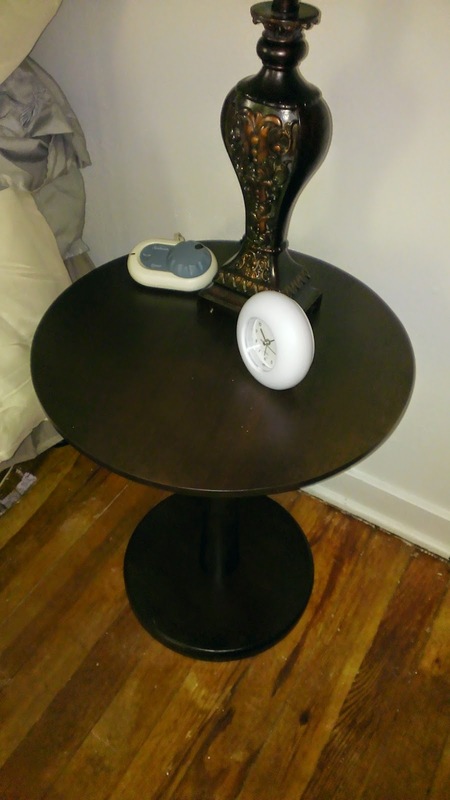 I purchased the tall cabinet with drawers at a Farmer's Market - $30.00 While shopping with Isa we found a cute round table at Walmart for $15.00 perfect for a bedside table. I wanted the bed to be a high bed so King would not jump up and sleep on the bed. I purchased a tall bed frame from Back to Bed for $61.00 - no headboard. 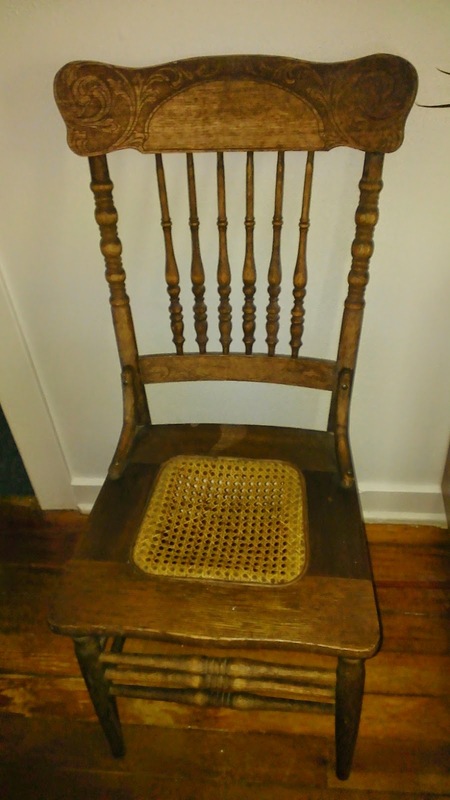 At a Farmer's Market I found a really neat old music chair for $25.00 - The wood details on the chair are amazing - but the cushion needed to be replace. I decided to upholstery the chair myself. I purchased 1 yard of material from Hobby Lobby used my 40% off coupon - cost $5.99. Bought one bag of stuffing $2.99 and one package of upholstery tacks $1.99. 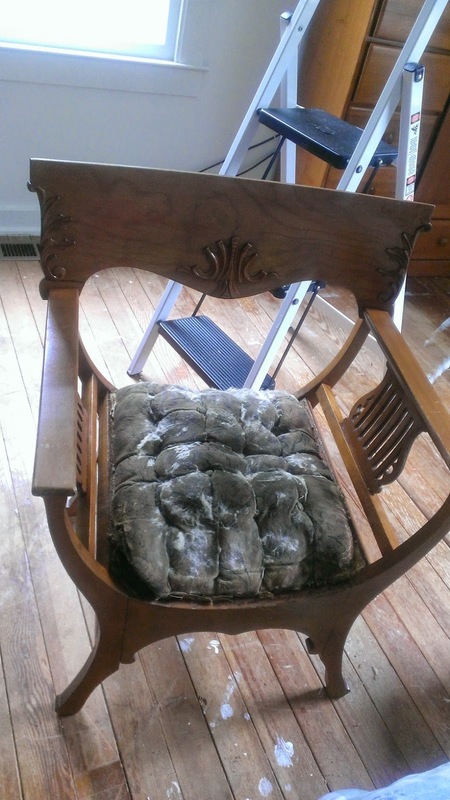 I cleaned chair wood and removed old cushion. I then started my homemade upholstery project. I stapled the material to the front and then used the upholstery tacks to attach each side of the material to the chair. I then stuffed the cushion with the stuffing materials. When the cushion was stuffed I pulled the material tight and stapled the material in place then I added the decorative tacks. I am very pleased with the results. I now have a functional unique chair for only $36.00!! My upholstery job is not the best...this is only the second thing I have ever upholstered. Last year I redid two chairs for our RV. I think it looks really nice and I am pleased with the chair. There were four items that I already had ... my sewing machine cabinet - our exercise bike, antique chair and a trunk that was restored by my dad. Total cost of furniture for my room: $142.00 - not bad! Make sure to check back...I will be explaining each area of the room and what the total cost was to redo! I just love that music chair!!!!!! I am a trunk fanatic. 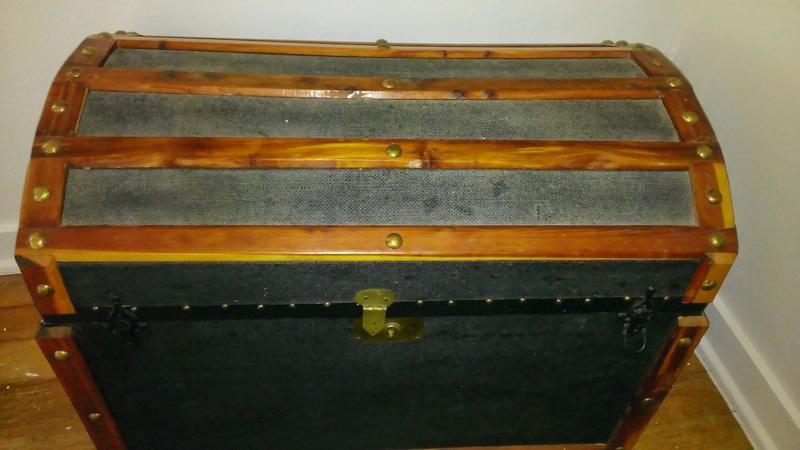 I have my great granny's trunk plus many more I have come across. This is gorgeous! You've done a great job. That is awesome. It reminds me of a room in a bed & breakfast here in New England!! The room looks absolutely beautiful! 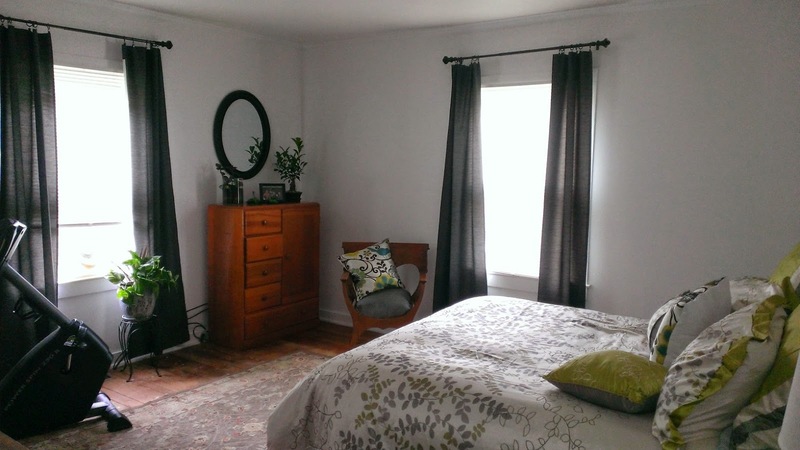 I love the old floors and dated pieces combined with the trendy bedspread and pillows. Simply stunning. You room looks really good.I love the furniture.well done. There used to be a show called Design on a Dime. Aside from paint and pillows, they pulled items you already owned and put them together in the new space. I always loved that! That's a great price for the re-do and everything looks terrific! It's cool that you can upholster. I think that's something I'll someday give a try to too. What a pretty room. I am sure guests will absolutely love it. You've put so much work into it and did it on a totally reasonable budget. How exciting to have a fresh, new look! Your spare room looks amazing and I am sure you guests will love it!! Great work! Love the look, the antic items are nice! It reminds me of being home which is always a good thing! What a great room! The space is nice to start and I love the grey, black, green color combo! The chair is really pretty. I like the colors you chose.I LOVE the bed spread and pillows! The cost is definitely reasonable for everything you were able to do! I love the chair - and the fabric on the pillows. Such a great looking room. Looks effortlessly put together. And only $142!! It looks beautiful! We have a spare room that we have no clue what to do with. Right now it serves as a storage but it really needs a makeover. I love picking out furniture! Love the combination of green and gray! You did a great job on this room! The chair looks like new. You did a great job reupholstering it! Looks beautiful! My daughter is getting ready to make up her spare bedroom. She is really excited to be frugal and find new ways to reuse items to make it look elegant. Wow, that's a really great deal! And the room looks amazing, too! This just goes to show that you don't need to spend a lot to make a room look beautiful. You pulled it together fabulously! I love the greens and vintage looking furniture. I hate paying too much fro decor, especially when trends change so frequently. You could go broke keeping up with the times. I love the addition of the trunk! My parents have one- and I have always envied it! Such a classy way to store extra bedding etc. Wow! $142 is not bad at all. You did a really nice job. Beautiful and affordable! What a perfect guest room! Love the chair and thought you did an excellent job with that. I can't believe you got everything for such a low cost!! Nice job. You have now got me motivated to start working in my own home. At least everything was cost efficient. Great job sprucing up your space room! Oh my gosh, I love your bedding! 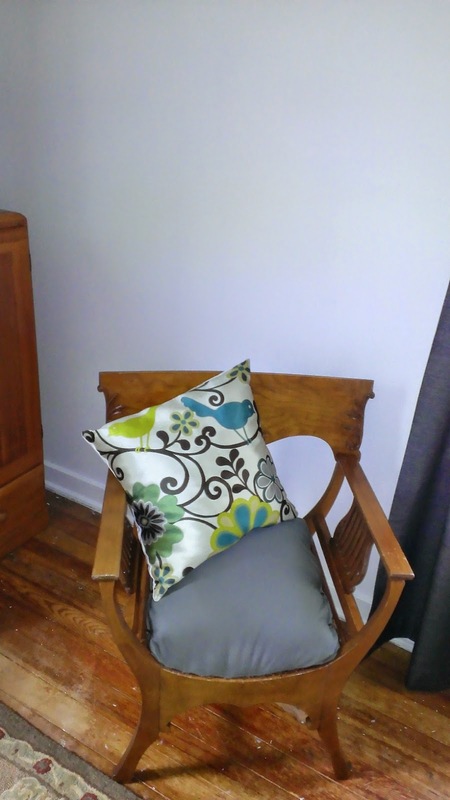 We are redoing our guest room…..great ideas! You did great and really kept it lost cost. I do love that chair and I love the color you picked for the cushion. Great job. 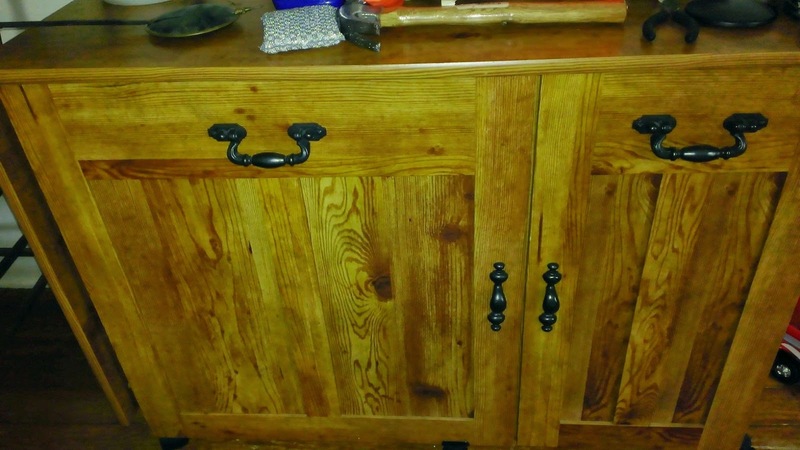 I'd love the ability to upcycle old furniture into something amazing! Looks great. You found some great deals on furniture! I love redoing rooms! I think once you get that clock on the wall the room will look gorgeous! I love the color selection of your blankets with the curtains, great picks. You put so much effort into that room and it paid off. I think it looks lovely. This room looks really cohesive and well thought out. Our house is in need of a few makeovers. You did a great job. I love the design. You did a great job. Looks cozy. I love the things you found to make the space unique. This room looks amazing. Can't wait to share this with my husband. We have been wanting to redecorate. This is perfect! Wow, It turned out great and it looks so comfy. Perfect guest room! The room looks nice and cozy when you pick beautiful curtains. Regular cleaning is also very important, because curtains keep a lot of dust.Great info! I admit, this is a bit late of a response but I stumbled onto this article just today – definitely going into my bookmarks section.